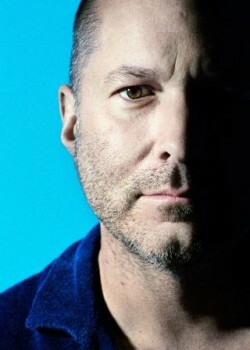 Apple design chief Jonathan Ive has been interviewed in an exhaustive profile with The New Yorker, in which he discusses a number of topics ranging from Steve Jobs to the Apple Watch. The interview provides a rare glimpse inside Apple's design studio at Two Infinite Loop at its Cupertino headquarters, as Ive shares some of his experiences working at Apple over the past few decades. The iconic designer recounts how Jobs visited Apple's design studio upon returning to Apple in 1997 and quickly bonded with Ive, solidifying a longtime friendship between the two. "During the visit, Ive said, Jobs 'became more and more confident, and got really excited about our ability to work together.' That day, according to Ive, they started collaborating on what became the iMac. Soon afterward, Apple launched its 'Think Different' campaign, and Ive took it as a reminder of the importance of “not being apologetic, not defining a way of being in response to what Dell just did.” He went on, 'My intuition’s good, but my ability to articulate what I feel was not very good—and remains not very good, frustratingly. And that’s what’s hard, with Steve not being here now.'" Ive also claimed that the Apple Watch was conceived soon before the passing of Jobs, who died in October 2011 following a lengthy battle with a rare form of pancreatic cancer. Apple CEO Tim Cook added that Apple was looking at multiple categories of products at the time and thinking about which ones to do. "The Apple Watch—the first Apple device with a design history older than its founder, or its designer—was conceived 'close to Steve’s death,' Ive said. It’s hard to build a time line of this or any other Apple creation: the company treats the past, as well as the future, as its intellectual property. But, in 2011, there may have been a greater appetite than usual for investigations of new products. One could imagine that executives were eager to act, in anticipation of grief, market upheaval, and skeptical press." Ive went on to discuss how he believes that, while millions of people may be willing to use an iPhone that looks the same as others, the same mindset does not carry over to a wrist-worn device like the Apple Watch. Ive recognized a need for the Apple Watch to be highly customizable, with different sizes, watch bands and different alloys of aluminum, stainless steel and gold. Ive’s position was that people were “O.K., or O.K. to a degree,” with carrying a phone that is identical to hundreds of millions of others, but they would not accept this in something that’s worn. The question, then, was “How do we create a huge range of products and still have a clear and singular opinion?” […] If variety was a perceived necessity, it was also an opportunity. “We could make aluminum, and stainless steel, and gold, and different alloys of gold,” Ive said. The full-length interview goes into further detail about Ive's design philosophies that went into creating the Apple Watch, alongside some interesting anecdotes and excerpts from other Apple executives such as Tim Cook, Bob Mansfield and Jeff Williams. I would like to hear Steve Jobs's opinion on this matter. Personally I'd rather have a better camera that protrudes ever so slightly than a flush one that takes inferior shots. With a case on (which most people do anyway, and if you don't then you really should) it renders the problem moot. I'd rather have a slightly bigger devices that has more battery stamina and takes superior photos. He will stay as long as he can. Nowhere else would he be paid as much as as he is at Apple despite some very questionable design decisions. I disagree, I think he can go anywhere he wants - I think any company will give their eye teeth for him. It's not all about money. Hard as that is to tell some Americans. He's so annoying to read, even more so to listen to him. Why did you read this article? It is titled: "Jonathan Ive Discusses Steve Jobs and Apple Watch in 'The New Yorker' Interview"
Still can't believe people who believe the pretruding camera to be 'bad design'. The case is the optimal thickness, and so is the camera. Any design other than a pretruding camera is riddled with compromises. Good design is honest, unapologetic and is born of functionality. I wonder how long Ive will stay at Apple. Can't say I'm lining up for Apple Watch for G1, but the potential is there for future iterations.